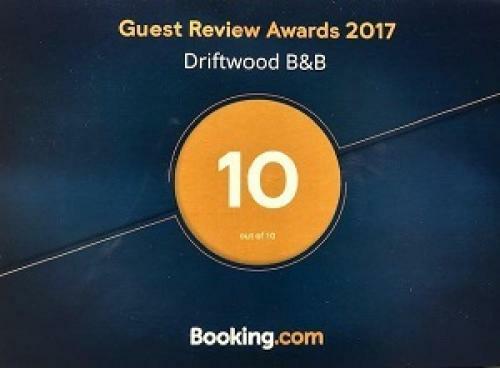 Welcome to Driftwood B&B (as seen on TV on Channel 5 "Our Dream Hotel") with contemporary bathrooms and elegant bedrooms, combined with breath-taking views from each of the four guest bedrooms. We are in the heart of brixham harbour and we don't think it gets much better than this! 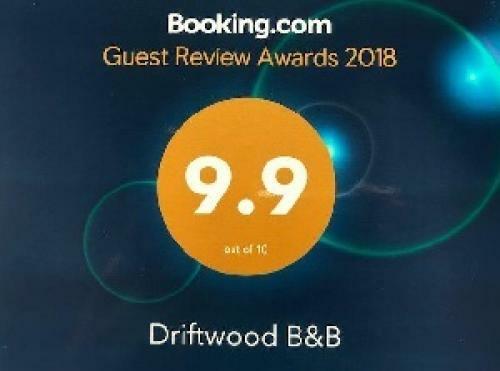 After completly refurbishing Driftwood B&B in 2016 we are now into our third year of trading and we look forward to welcoming you to our contemporary-classic, adults only, boutique bed &breakfast. We do hope you like what you see and we meet or exceed all your expectations. Guest rooms are at the rear of the property facing south east, making the most of the morning sun, and all have outstanding views to the sea, harbour, and Brixham townscape. 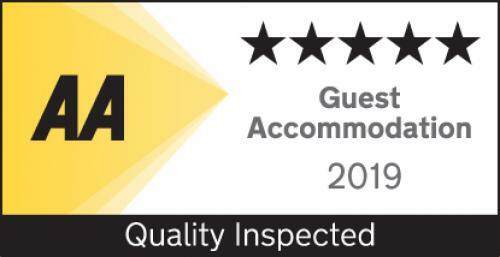 Bedrooms have Hypnos beds with egyptian cotton linen, sliding glass doors with either private balconies or Juliette's, en-suites with walk-in showers or bath with shower over, and luxury toiletries from "The White Company". Breakfast is served in the bright, spacious dining room where you can indulge in a hearty "Driftwood" full english, eggs benedict, or smoked salmon with scrambled eggs - to name a few - all freshly cooked using locally sourced ingredients where possible. We also cater for special dietary requirements if informed in advance. Just off the guest lounge is the terrace which guests can use to take in the fantastic views whilst waiting for your breakfast to arrive. In an elevated position Driftwood combines peace and quiet with stunning views and yet you're just a few steps from the quayside's abundance of independent shops, pubs, restaurants and coffee bars. Driftwood is the ideal escape from the day-to-day to enable you to switch off and fully appreciate the breath-taking surroundings. 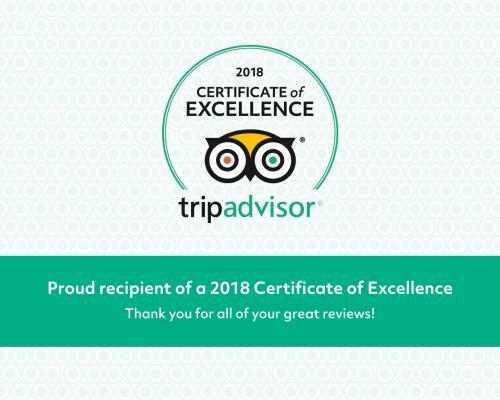 Our aim is that you return, again and again creating many wonderful and memorable new experiences on each, and every visit. 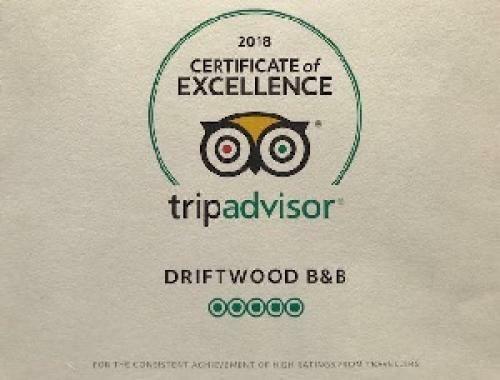 Unfortunately, due to its elevated position in the Harbour Bowl Driftwood B&B is not suitable for those who are physically impaired (steep steps/stairs/roads) - please contact us for more information. Please note that Driftwood is a NO SMOKING establishment. 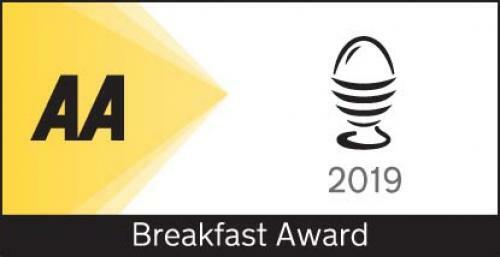 & Breakfast Award in March. Oddicombe - Our sunniest of rooms in creamy yellows and floral detailing, silk drum shades teamed with a gold antique mirror to finish the eclectic mix of old and new. King-size 5ft Hypnos bed. Private balcony with bistro table and two chairs. En-suite with walk-in shower. Samsung HD Smart TV. South east facing dual-aspect room with sea, harbour, town and countryside views. Our most romantic of bedrooms with the largest of beds adorned with cushions and throws, a silver Bateau bath for two, perfect for that special occasion. Super-king 6ft Hypnos Bed. Juliette Balcony. Bateau Bath in room. En-suite with walk-in shower. Sony HD Smart TV. South east facing with sea, harbour, town and countryside views. The height of elegance with slinky velvet bespoke curtains, a fresco painted cloudy wall, and a super-king bed to drift off to sleep on. Super-king 6ft Hypnos bed. Private balcony with bistro table and two chairs. En-suite with bath and shower over. Sony HD Smart TV. South east facing with sea, harbour, town and countryside views.